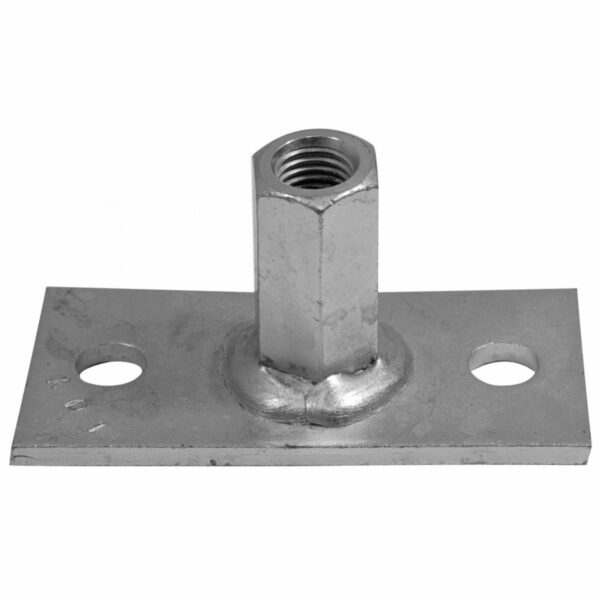 A twin 14.0mm hole bracket used for connecting to concrete, masonry and steel in conjunction with a variety of fixing types. Traditionally fixed with two 12mm CSB masonry screw bolts but can also be fixed with conventional nylon plug & coach screw, with threaded studs or sockets set in resin or with bars or bolts, nuts washers etc passed right through the structure. Designed with hole centres of 75mm to spread the load over two courses of brickwork or to align with mortar joints.